Anne suggested we name this the No Bad Food Tour, because we haven’t had a single bad meal. Part of that is from stopping at places I’ve discovered over the years, and part is from our rule of thumb: stop only at locally-owned restaurants that have a bunch of cars in front of them. 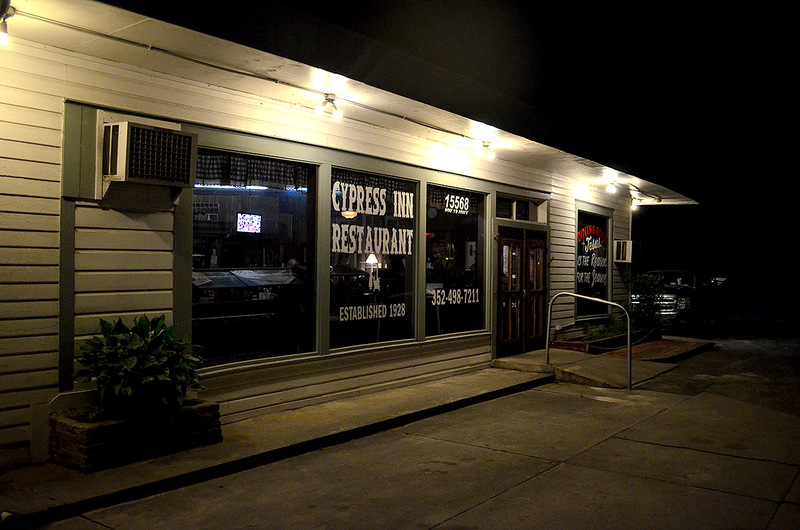 It’s been at least 20 or 25 ars since I ate at the Cypress Inn Restaurant in Cross City. I don’t remember if I was covering a flood or a hurricane or if it was on a vacation trip with the family. I had the seafood platter that was every bit as good as the shrimp and oyster combo I had at a fish camp in Gastonia yesterday. The oysters weren’t quite as big, but everything on the plate was tasteful. Anne had a ribeye that was tender and had good flavor. Jessica was craving a big, greasy burger, and got her wish fulfilled. It won’t be another 25 years before I go back. This moves up to a prime spot on my list. 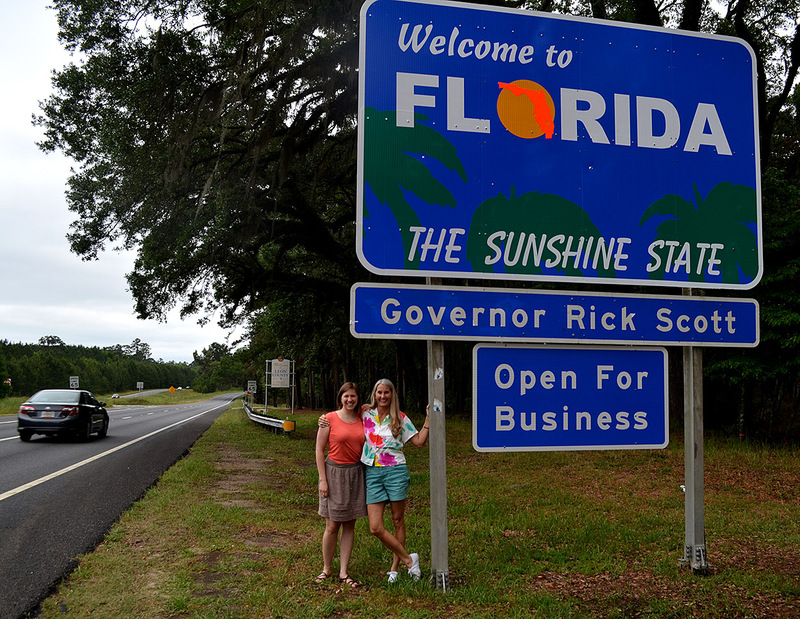 We’re going to try to get into West Palm Beach early enough for Anne to wrap loose ends before she leaves Florida for her home state of Texas. Gonna miss her. You use the same criteria for restaurants that we do when traveling. The more trucks and/or law enforcement vehicles the better the food.